Contact Lenses & Dry Eye | Visit Chroma Optics! 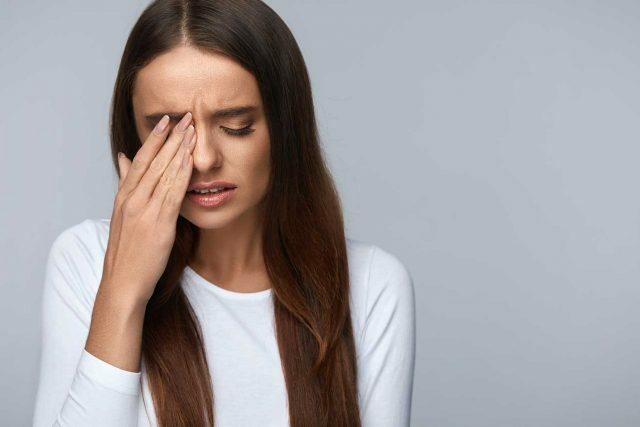 Dry Eye Syndrome is an eye condition which causes symptoms such as burning, itching, stinging, grittiness, or a feeling of something being in the eye. Dry Eye can be caused by a number of factors, including genetics, aging, medications, or others. How Can Dry Eye Effect Contact Lens Use? When the eye does not naturally create enough tears, Dry Eye can develop. For contact lens wearers, this can be especially difficult. The eye requires natural moisture for the most comfortable, flexible fit. If there is insufficient moisture, as in the case of Dry Eye, wearing lenses can feel irritating and uncomfortable. Like trying to create a portrait on canvas with dry paint, it’s tough for Dry Eye sufferers to wear contacts because a healthy amount of moisture is required. The condition can also cause the lenses themselves to dry out. What Would Cause Permanent Damage To The Lens? Sometimes, a person will try to ease the painful symptoms by rubbing their eyes, even while being unaware they’re doing this. The more they rub the eye, the higher the risk of a contact lens moving around or even ripping, which would cause permanent damage to the lens. Temporary relief can be achieved by using artificial tears, but doing this extensively won’t do much for a permanent fix. Some people find that simply putting in a fresh pair of lenses gives them some relief. The problem with this, of course, is that they can’t use a new pair all the time. Additionally, using artificial tears excessively and constantly replacing lenses adds to the cost of maintenance and supplies. This can add up to a significant amount of money. Even daily lens wearers find that replacing their contacts when they experience Dry Eye irritation alleviates the discomfort for only a short time. A longer-term solution is needed. 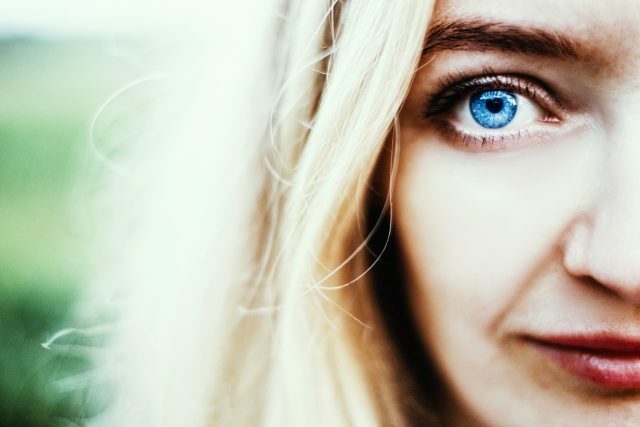 So how can Dry Eye sufferers achieve a happy medium? It wasn’t too long ago that the idea of robots and self-driving cars were the stuff of science fiction movies. Today, these technologies exist, and they’re being applied in many industries from automotive to grocery, fashion to medicine, and more. The world of eye care is replete with technological innovations, as well. Since the first contact lens was created in the 19th century, which was constructed of glass with a dextrose solution, contacts have come a long way. Over the years, this first version gave birth to contacts made from gas permeable and silicone hydrogel materials. Lenses themselves have gotten smaller and more effective at correcting vision problems, including Dry Eye. Several new advancements in contact lens development include elements such as center-distance multifocal lenses. The theory is that because each individual’s pupil size is different, the lenses must be customized accordingly. Center-distance multifocal contacts are adjusted for a patient’s unique pupil size and fit. Photochromic eyeglasses aren’t new, but the contact lens versions certainly are. Traditional photochromic eyeglasses change according to the type of light they’re exposed to. Meaning, they automatically darken in the sunlight and lighten in the dark. The wearer can use them as both regular glasses and sunglasses. What is new is the development of contact lenses which, in essence, do the same thing. Photochromic contact lenses automatically adjust to changes in light, which is of particular benefit to Dry Eye Sufferers. This is because sensitivity to light is a common symptom of the condition. These new types of contacts could drastically improve daily activities such as driving, jogging, and generally being in the outdoors. Scleral Lenses are large contact lenses that sit on the white part of the eye, known as the sclera. In simplest terms, these lenses replace problematic corneas, which corrects many kinds of vision issues. In the past, scleral lenses were worn by patients after corrective eye surgery. Today, people who are unable to wear traditional contact lenses or have difficulty with prescription eyeglasses can wear scleral lenses. They provide comfortable, better vision. One reason for this is due to the liquid contained within the lens. It fills the space between the eyes and the back of the scleral lens. This liquid ‘bandage’ helps protect the cornea and continuously bathes the sensitive corneal tissue. The area stays consistently moist, giving relief for Dry Eye symptoms. They say that timing is everything, and that’s certainly true when it comes to our health. So when is the right time for a patient with Dry Eye to use scleral lenses? Each patient’s condition and symptoms are unique, so there isn’t really a right or wrong answer to this question. It can depend on the severity of the symptoms and how often they occur. Each patient should discuss their case with their eye doctor for a customized treatment plan. Many leading psychologists agree that the massive increase of media content available today has caused exponential growth of screen time use across all ages and ethnicities. Basically, we’re watching a lot more media today than ever before. In fact, the Nielsen Company estimates that American adults spend more than 11 hours of screen time every day. For young adults (age 18-34), the numbers are even higher. This has some serious consequences in terms of social interaction and our overall health. When a person spends ¾ of their day looking at a computer, TV, or smartphone screen, their eyesight can be negatively affected. This has particularly important consequences for those with Dry Eye Syndrome. On average, a person blinks once every 4 seconds. When staring at a screen, this number decreases. Without the ability for moisture to coat the eye when you blink, your eyes can become drier. If you suffer from Dry Eye, this can be problematic. The longer the amount of screen time, the more likelihood of repeated symptoms, such as itching, burning, or stinging. 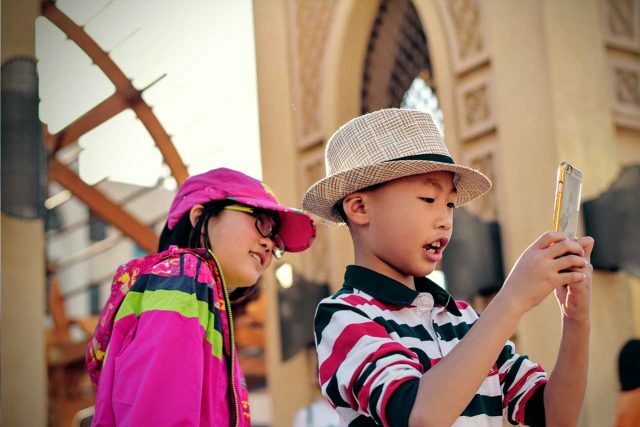 Parents should pay close attention to their children’s’ use of smartphones and tablets. According to the American Optometric Association, excessive screen time is linked to pediatric Dry Eye disease. So what can parents do to prevent this or improve the situation? Parenting experts and child psychologists advise parents to limit screen time to an agreed-upon amount per day. Establish set rules for the family, such as putting phones away during meal times or special events. Increasing outdoor activities like sports or hiking has been shown to protect against pediatric Dry Eye. Today, there are more options and constant advancements in both the treatment of Dry Eye and Contact Lens production. Consider the above-mentioned issues when choosing the right treatment for you. Bring up any medical or family history with your eye doctor, including insights into your lifestyle that can affect your overall eye care. For more information or to schedule a Dry Eye Screening, contact our office today.